Beautiful 6/7 bedroom Georgian Townhouse in Cheltenham with separate apartment upstairs with easy access to town centre and the Cheltenham Racecourse, perfect for short breaks. 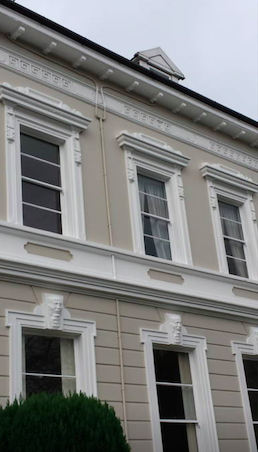 A stunning traditional Cheltenham Georgian house, fully restored and modernised and still so elegant with chandeliers throughout the main living areas. 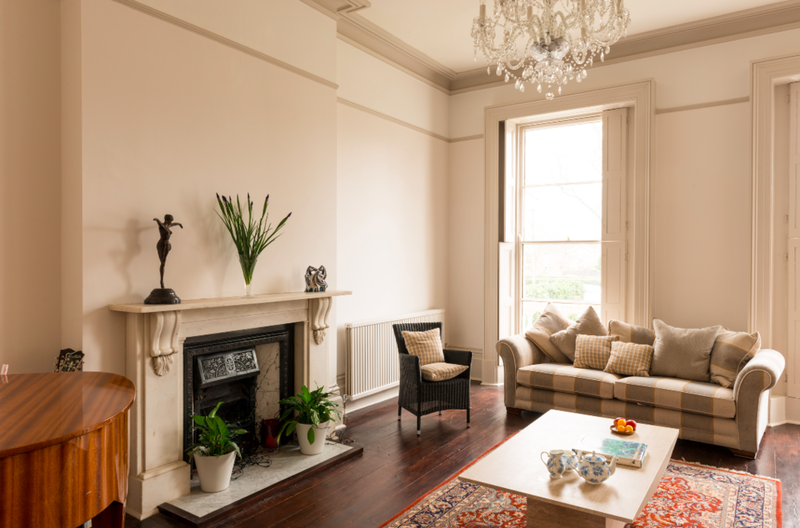 The whole atmosphere is one of luxury with marble flooring throughout the entrance hall and copious amount of light from all the large sash windows making guests feel comfortable yet inspired by the height and proportions of all the rooms. On the ground floor there is a large kitchen with adjoining breakfast room, a cinema/snug room, beautiful dining room with views over the garden and a huge drawing room with grand piano, fireplace and elegant sofa suite, with plenty of space for all guests to enjoy. The accommodation comprises 4 bedrooms in the main house and 2/3 further bedrooms in the apartment upstairs. The sleeping accommodation is found on the first and second floorwith the first floor containing 4 king sized bedrooms, two of which are ensuite and two of which share a family bathroom. 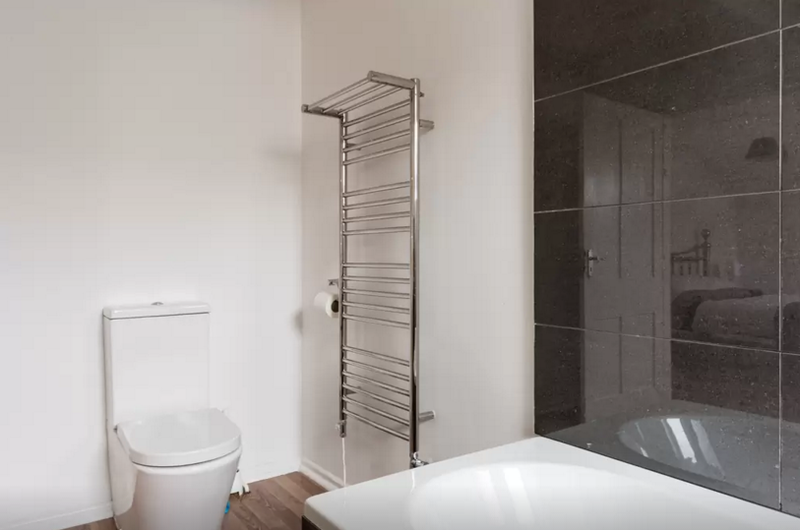 The second floor is set up as an apartment and has 2 double bedrooms with ensuite bathrooms and a third room which can be used as either a living area or as an additional bedroom. And...a kitchenette. 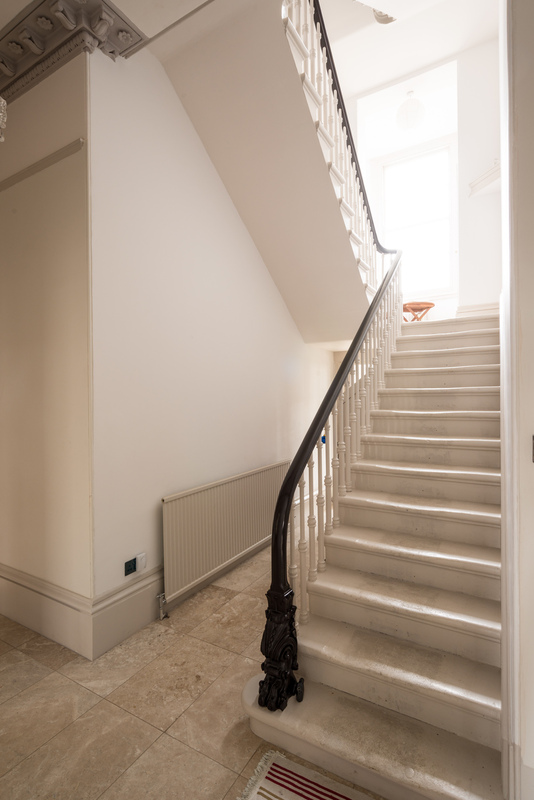 This property enjoys a modern touch but retains many of the original features of this traditional Georgian house including its marble stairways and impressive entrance hall. 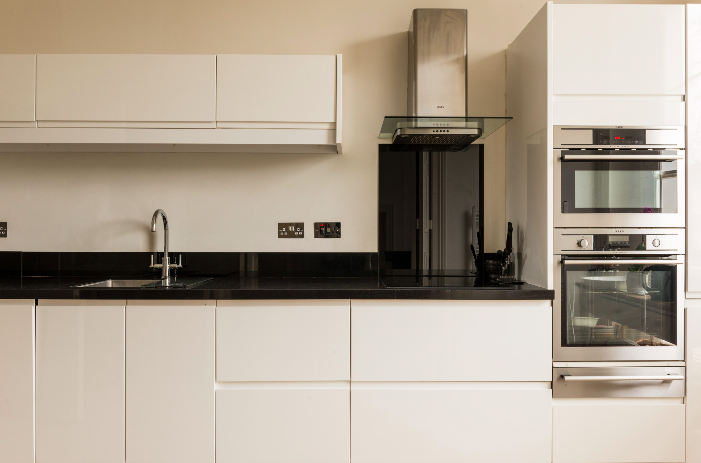 Just 5-10 minutes' walk from the centre of Cheltenham, this apartment is ideally placed for enjoying all that Cheltenham has to offer including the racecourse, famed for the Cheltenham Festival. The house is close to the exclusive Montpellier area with all its elegant boutiques, bars and restaurants. The town itself lies just off the edge of the Cotswolds Area Of Outstanding Natural Beauty, giving you prime access to the many wonderful walks, cycle paths and horse riding routes, whilst retaining the comforts and amenities of the town. Prices vary depending on the number of guests and with season. Prices for groups of more than 10 guests include use of the apartment. Please enquire for detailed pricing through Stays to Remember.